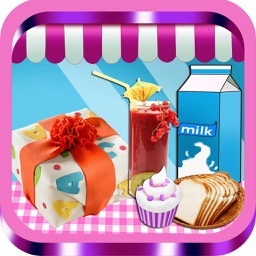 Another hit virtual baking app from Maverick Software, creators of Cupcakes!, More Sundaes!, and More Buffet! 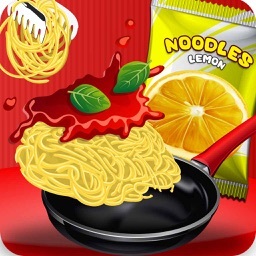 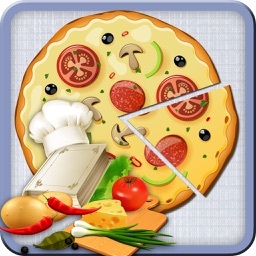 Roll out your pie dough, cut & trim it, mix pie filling, bake or freeze, slice, decorate, eat and share virtual pies on your iPod Touch, iPad, or iPhone. 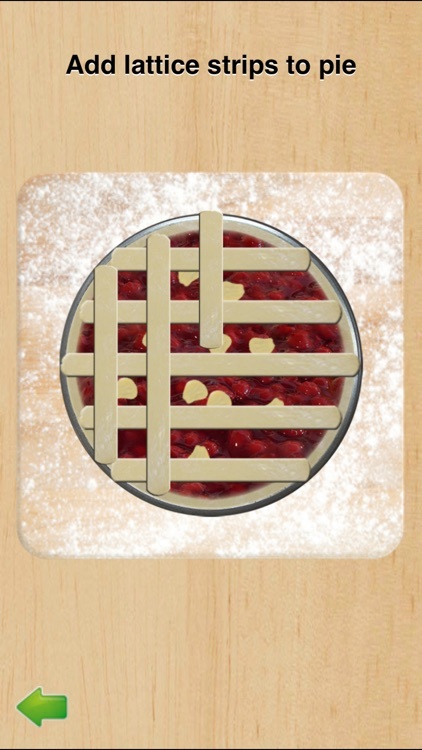 More Pie gives you an entire kitchen full of possibilities. 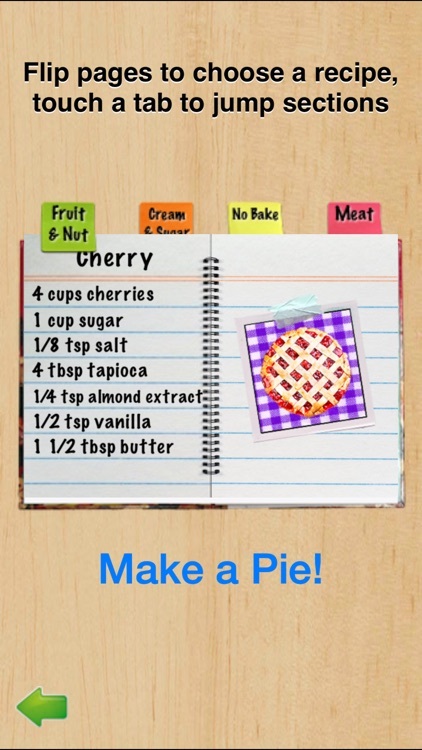 Browse the cookbook to pick your pie recipe, with 30 kinds to choose from. 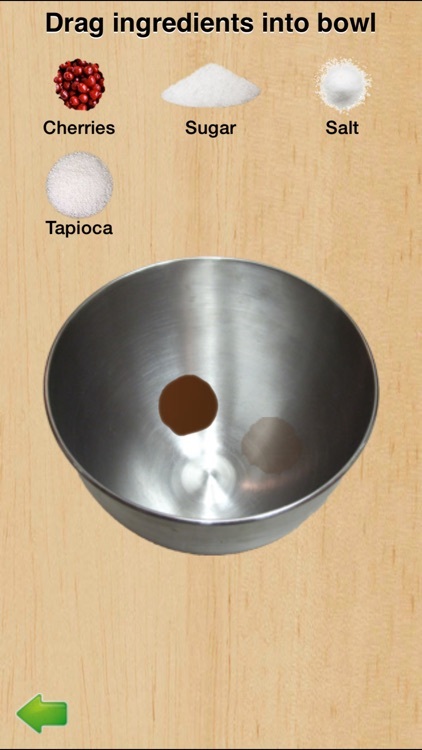 Pick from favorites like apple, blueberry, cherry, pumpkin, chocolate cream, pecan, coconut, peanut butter, grasshopper and more. 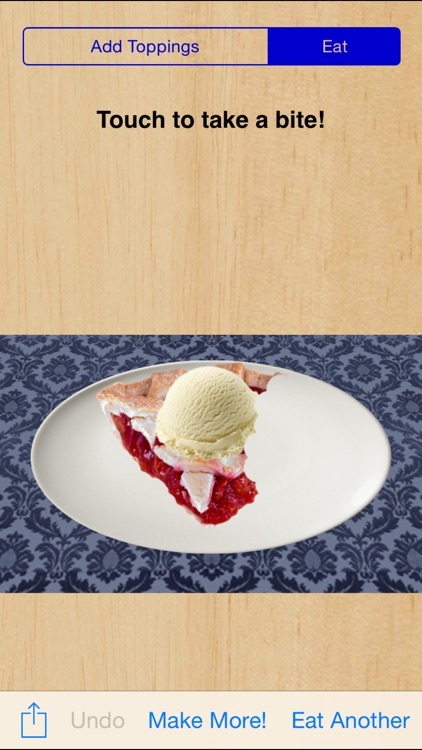 Once your pie is done, you can slice it, pick a slice and add toppings including whipped cream, different flavors of ice cream, fruit, sprinkles, and more. And finally take bites of the pie or email a picture of the whole pie or slice to a friend. 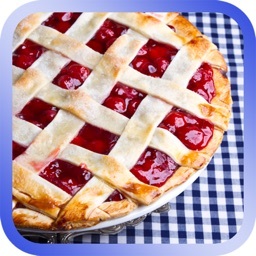 - 30 kinds of pie to choose from, including fruit, cream, no-bake, meat pies and more. 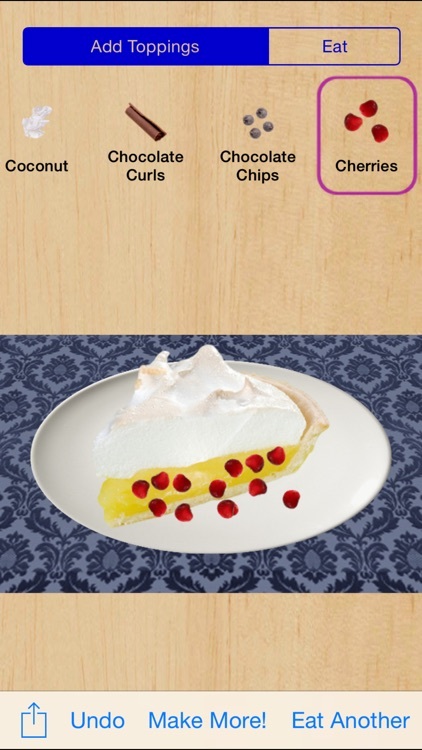 - A built-in Pie-o-meter to keep track of how many pies you've made, with Game Center support for a worldwide pie leader board. 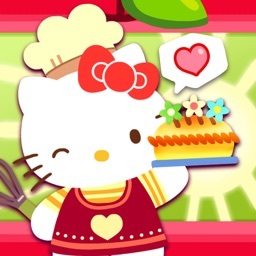 Post a review with your pie or topping requests, and we'll see about adding them in the next update!